It is only seven games into the K League season and we already have a sacking today. 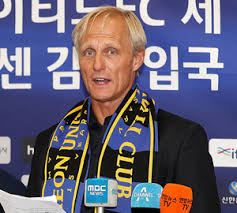 This has come in the form of Jørn Andersen of Incheon United being relieved of his duties after five defeats in a row. 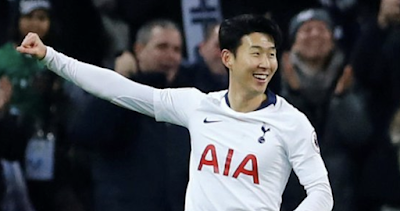 Many would suggest that despite the poor start this is a knee-jerk reaction when you consider they lost in this run to Daegu, Ulsan, Jeonbuk Motors and Bluewings. The decision to sack the Norwegian has been met with shock as many felt he'd been doing a good job. Anderson kept the club in the K League 1 last season and it looked like he would build on that this season. It started well also with a win over last seasons runners up Gyeongnam in week two. The feel-good factor did not stay and the side has now lost five on the bounce a position from which most felt the coach could still turn around. The board at Incheon United do not seem to agree and have parted company with the former North Korean boss. It is understood that the board at the K League club met with Anderson on Monday and decided it was time to end his time with the club. Then according to reports in Korea, he said the following to the players "I am announcing that I will not continue to be Incheon's manager since today (Monday). I thank the players who have worked together and have to practice in dissatisfaction with the shortcomings. Even when I leave this way, I still hope, the club will compete for the rest of the season, and I really hope that the future of the team will be filled with good things for all of you ”. His time in Incheon as not been terrible as the K League United pointed out his record was a 37% win record from 27 games in charge.